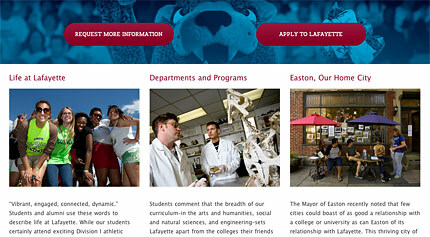 Back around the time of the first and second North American blizzards of 2010 (more popularly referred to as the Snowpocalypse and/or Snowmageddon) we started working with Easton, PA based Lafayette College on a redesign of their Lafayette.edu website. 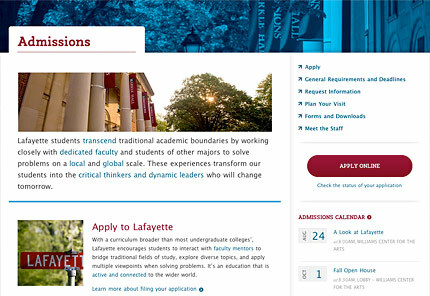 It had been years (many years) since the site had a major overhaul so when we sat down with the varsity team of Lafayette stakeholders we knew this was going to be a fun project. 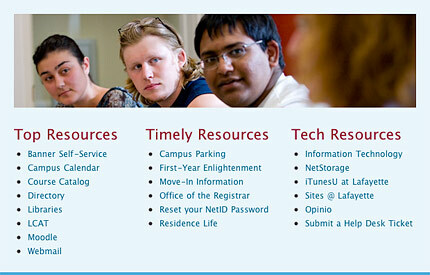 Six months later on the heels of a new academic year the shiny new website was ready for primetime. This was no small undertaking. 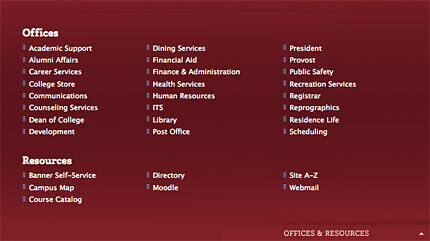 There was much to figure out from understanding what made the college unique to improving the usability of the website. 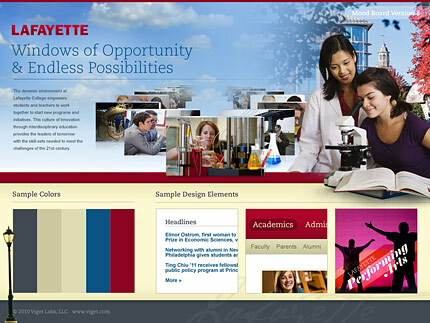 With much cooperation from the Lafayette internal team we approached the redesign from a few different angles. 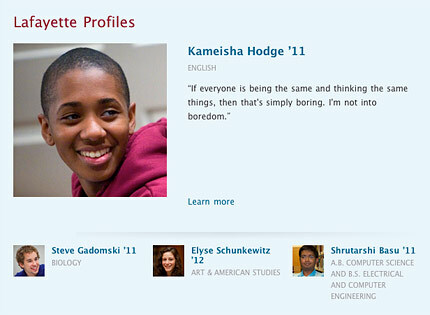 Among them, we looked at the site architecture, user interfaces of key pages, and brand personality/identity. 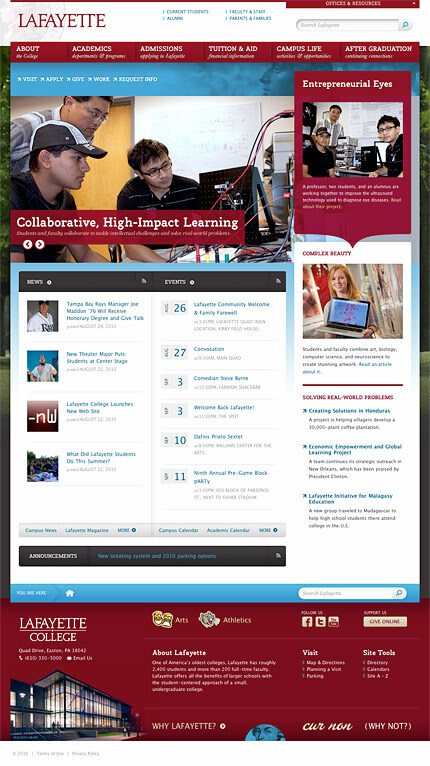 We built out the website in HTML, CSS, and JS, implemented it in Wordpress, and then adjusted some of our design work based on user testing conducted by the college. 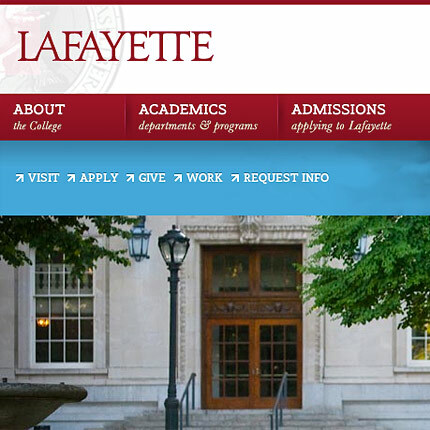 Students who attend Lafayette are taught to think in ways they never thought possible. They focus on bettering their local community and prepare themselves for community involvement around the globe. In a unique way, this teaches them about building friendships, philanthropy, and environmental care. Students from Lafayette graduate and go to places all over the world to help improve living conditions in areas they never knew existed. 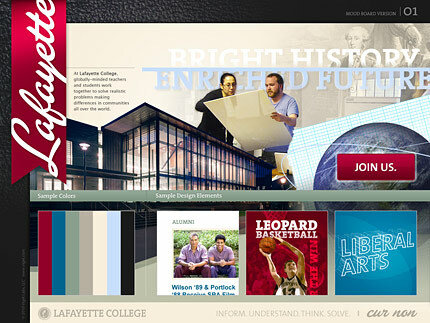 Founded in 1826 and located in close proximity to New York City, the college has a significant history. It may still be a small college by most measures but alumni support is strong and many have gone on to lead enriched lives. In addition to human connections, all across campus students have abundant access to research materials to help support their needs. Due to the close-knit community both on campus and locally in the town of Easton, students are encouraged to work with others to start new programs and initiatives. Individual students, student groups, as well as faculty and alumni are known to work together to think locally and act globally on a variety of needs. 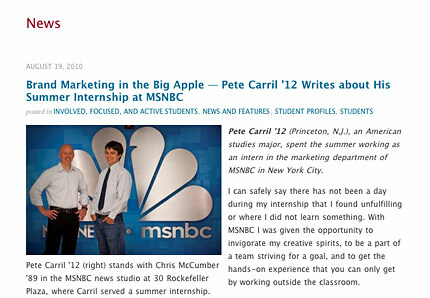 Collaboration happens at all levels to help create a truly unique collegiate experience. 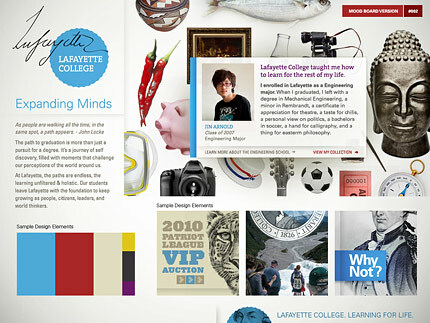 Visit the Lafayette College website to see more. 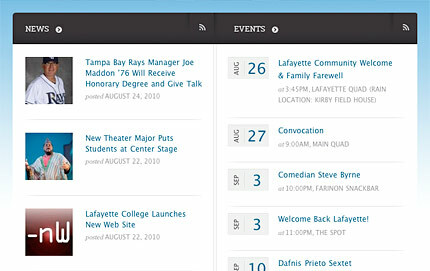 10/22/2010: Learn more about Lafayette on Wordpress.